Born Yoshihito Nakano, Horiyoshi III (b. 1946) received his current title from the late tebori master Yoshitsugu Muramatsu, also known as Shodai Horiyoshi of Yokohama. 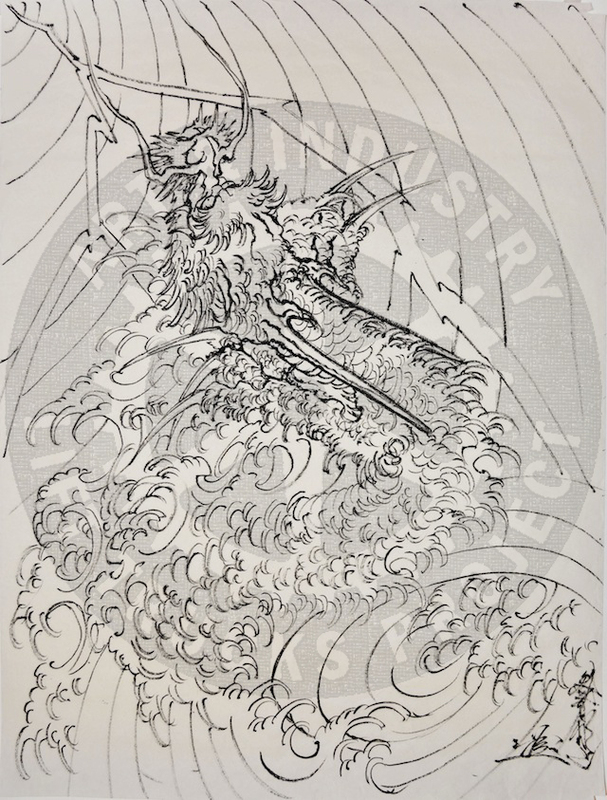 Sailor Jerry visited and studied Horiyoshi II’s work in Japan as did Don Hardy. Horiyoshi III started at age 16 and served as Shodai Horiyoshi’s apprentice for ten years. By age twenty-eight Horiyoshi III’s bodysuit was complete, hand-tattooed by Shodai Horiyoshi. He is considered the foremost tattoo master in Japan. These two tattoo flash samples are just in to Lift Trucks: a dragon descending through the waves and a dragon ascending through waves. 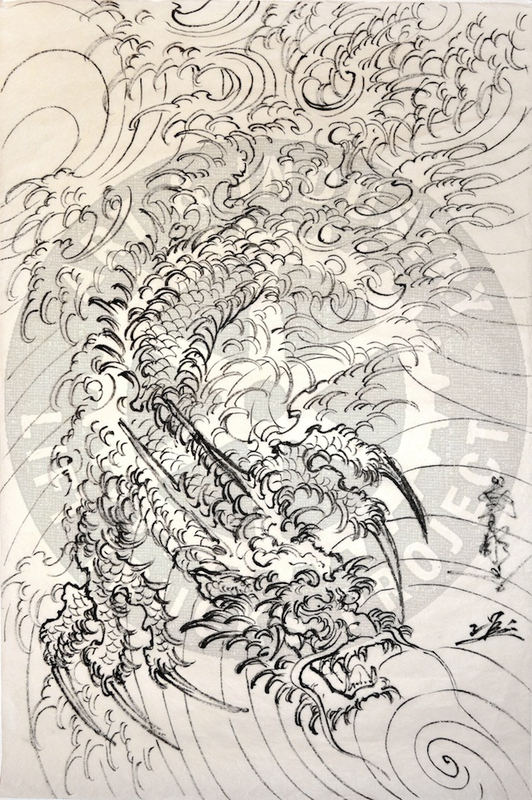 This entry was posted in Uncategorized and tagged Don Hardy, Ed Hardy, Horiyoshi II, Horiyoshi III, Japanese Art, Japanese Tattoos, Sailor Jerry, Shodai Horiyoshi, tebori, tebori master, Yoshihito Nakano, Yoshitsugu Muramatsu. Bookmark the permalink.